Scientists of Zaporizhzhia State Medical University open new horizons of international cooperation. 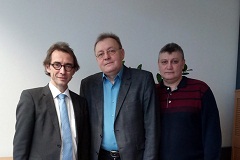 From January 29 to February 1, a group of ZSMU staff members, including Professor Serhii Kovalenko, head of the Department of Organic and Bioorganic Chemistry, Volodymyr Shvets, professor of the Department of Biological Chemistry, and Alexii Voskoboinik, associate professor of the Department of Organic and Bioorganic Chemistry, visited the Neubrandenburg University of Applied Sciences (Germany). 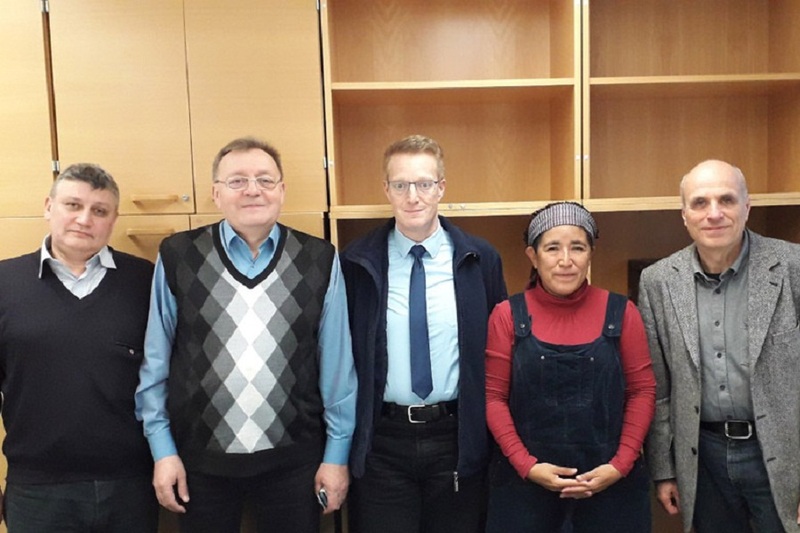 Within the frame of a business trip, our university's scientists met with Professor Gerd Teschke, the rector, Professor Leif-Alexander Garbe, the vice-rector for scientific work, and Professor Rainer Langosch, the dean of the Faculty of Agrarian Sciences and Food Technology. The communication opened up interesting prospects for further scientific collaboration between the Neubrandenburg University of Applied Sciences and Zaporizhzhia State Medical University. Associate Professor Oleksii Voskoboinik introduced German colleagues to the history and present of Zaporizhzhia State Medical University and presented a report on "Condensed derivatives of quinazoline as chemotherapeutic agents". 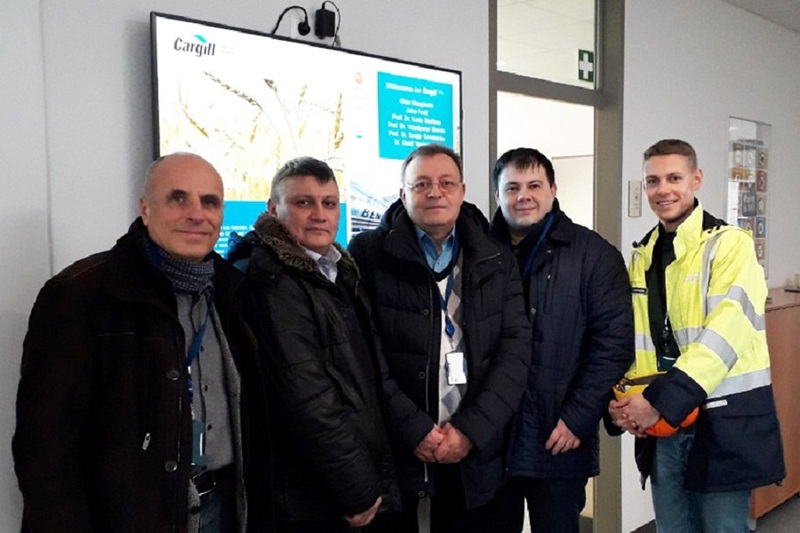 Members of the ZSMU delegation visited the scientific and technical base of the Neubrandenburg University of Applied Sciences, visited the ZELT Science Center and the Cargill Pectin Factory. An interesting experience will surely be of use for the scientists in the work on new scientific projects.